The girls and their niece helped prep the boxes to send five pillow pets and USB medical history bracelets to five children that have epilepsy and/or asthma. The girls love giving to other kids and the last time we delivered to the Ronald McDonald House and local hospital, Jamie proclaimed, "I love my job!" 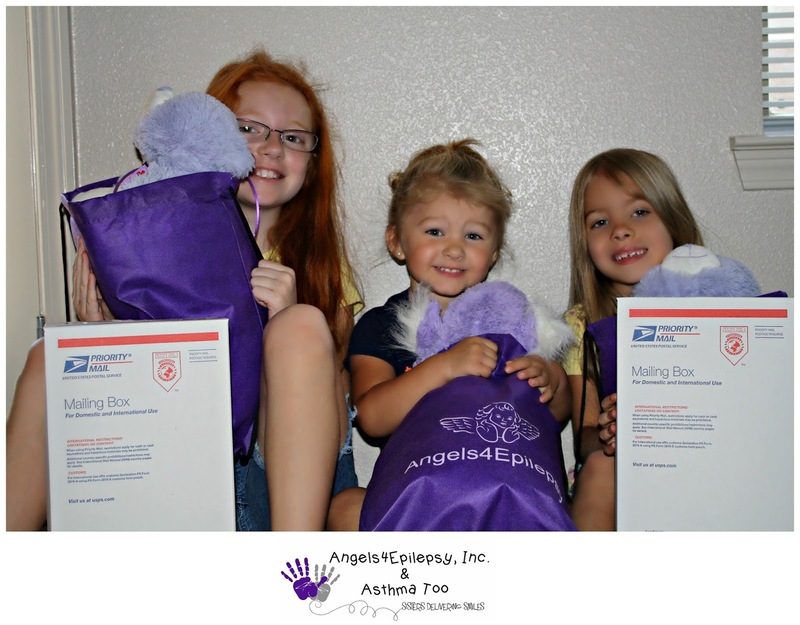 This recent shipment was funded 100% by Angels4Epilepsy & Asthma Too and we have more children on the list. Please consider donating to help us continue our deliveries.